Home highlights: 2 Stories, a master suite located on the first floor with a private bath and walk-in closet, 5 total bedrooms plus a loft that can have multiple uses, all of the bedrooms have private walk-in closets, an enclosed front entry and covered back porch, fully-fenced backyard. Floorplan features: This floorplan is the largest in the San Tan Heights community, and is suited to fit even the largest of families. The main floor offers an oversized master suite that is secluded off of the living room, with a private bathroom, large walk-in closet and storage. The kitchen sports 36” maple custom cabinets with high-quality trim, granite counters, ceramic tiles and raised 2-panel doors—all included as part of LGI Homes’ free upgrades. Upstairs is an open loft perfect for a family gaming room or as a play area for younger kids. Four large bedrooms are located on the second floor, each with their own walk-in closets. The laundry facility in the house is located right outside the four upstairs bedrooms, so even busy parents will be able to easily keep up with this chore—and no lugging laundry upstairs and down! About San Tan Heights: San Tan Heights is a community of just 3,200 residents, and it maintains the integrity and family-friendly feel of a small town. It has a central location just minutes away from metropolitan necessities, while still allowing a close-knit community that is wonderful for raising families. The community offers more family amenities than most, such as elementary and middle schools located right within the community, parks for the entire family, playgrounds for all ages of children, greenbelt areas and trails for everyone to enjoy. Houses in San Tan Heights include over $15,000 worth of upgrades at no cost, including high-quality appliances, top-quality trim throughout the house, refrigerators included in each home, fully-fenced in backyards, and an incredible 10-year homeowner warranty. Come and check out the 3, 4 and 5 bedroom homes that San Tan Heights has to offer! Home highlights: Two Stories, master suite with private bath and large walk-in closet, centrally located, open kitchen, covered front entry and covered back patio. Floorplan features: This floorplan is centered by a spacious, open-design kitchen that is filled with stellar amenities like 36” maple cabinetry, and granite counters. The high-quality refrigerator is included in the price, as is the ceramic tile and raised 2-panel doors. These designer touches turn your kitchen into a great gathering place for both quiet nights with the family, and parties with friends and love-ones. The kitchen flows seamlessly into the dining room and living room, creating an easy, relaxed feeling that encourages family time together. The master suite has its own private full bathroom, and enjoys a spacious walk-in closet. The second-floor laundry room makes wash day a breeze, and in the evening? A delicious soak in the master suite’s garden-styled soaker tub! Home highlights: Easy to navigate one story design, three spacious bedrooms plus a den for the entire family to share, a covered entryway and a covered patio, master suite with ensuite bathroom and walk-in closet. Floorplan features: The Prescott features a classic ranch design that offers three large bedrooms and a den, plus 2 full bathrooms. The kitchen, a central gathering place, has a host of special amenities, and connects directly to the dining room/living room for easy entertaining and relaxed nights at home with the family. The 36” custom maple cabinets, granite counters and matching ceramic tile elevate the designer feel in the kitchen, and the same quality and attention to detail is evident throughout the rest of the property, in features like custom trim and a fully-fenced backyard. There is ample storage located throughout the home, allowing owners to store all of their precious belongings and stay organized! Home highlights: A versatile floorplan offering 4 bedrooms—or 3 bedrooms plus a study or formal dining room—the Pecos includes sloped-ceilings in the living room, and a master bedroom with ensuite bathroom, walk-in closet and a private entrance into the house. Floorplan features: This classic ranch offers versatility for every sort of family. There is an open-format kitchen that is attached to a breakfast area, so everyone can be nearby and family dinners can easily be a part of every day life. The kitchen has custom cabinets, brushed nickel hardware and a refrigerator included, for a completely move-in ready home. The living room boasts sloped ceilings for an expansive designer feel, and the master suite has it’s own personal bathroom (with separate tub and shower) for the right mix of privacy, relaxation and convenience. The fourth bedroom can serve as an extra bedroom, a library or study, or even a formal dining room. About Mallard Crossing: Mallard Crossing is located in Northwest Houston, and locates its residents minutes from everything they could possibly need: dining, entertainment, shopping and work obligations. The family-friendly community includes built-in parks, walking trails, and professional landscaping. Every home in Mallard Crossing includes distinct touches like fenced-in yards and professionally-installed stone entryways. Three, four and five bedroom plans are available, offering the perfect amount of comfort and space for any family. In addition, every Mallard Crossing home comes with $10,000 worth of free upgrades, for a designer-styled, brand-new home that is a perfect fit for you and your family. Home highlights: Two-story plan, master suite with private bathroom and walk-in closet, covered front porch, covered rear patio, dramatic entryway with open staircase. Floorplan features: The Flagstaff floorplan features three large bedrooms and 2½ bathrooms, offering plenty of space for couples, singles and families. The master includes an ensuite bathroom with soaker tub and separate shower, as well as a spacious walk-in closet. The first floor offers a spacious dining room and living room combination that flows easily into the kitchen—which itself is full of quality appliances, and designer upgrades like 36” maple cabinets, beautiful granite counters, a refrigerator and ceramic tile. The rest of the house has the same high-quality touches, such as raised 2-panel doors, top quality trim and a fully-fenced backyard—perfect for kids and pets. The open staircase helps create a dramatic entryway that will welcome you and your guests into your home. Floorplan features: The Cypress floorplan features the best in a two-story home, offering both privacy and plenty of room for entertaining and fun. The large master-suite downstairs features a corner soaker tub, double vanity, separate shower, and large walk-in closet. Situated along one side of the home, this owner’s retreat is a quiet and calm oasis in the busy affairs of the modern household. The living room, dining room, kitchen, guest powder room, and utility room are designed to flow, for ease of use by family and friends. Upstairs, three amply-sized bedrooms have access to a unique two-room shared bath, with a sink area and additional privacy (via privacy door) for the full tub and toilet. All three upstairs bedrooms have good size closets—two with large walk-in closets. Perfect for any household! About Oak Hollow Springs: Oak Hollow is located in North Dallas, and is just minutes from the downtown area. All Oak Hollow homes offer affordable, modern floor plans and include $10,000 in designer upgrades included at no additional cost to the buyer. Quality appliances come standard (including new refrigerator), and owners will enjoy other high-end touches like granite countertops, custom cabinets, vaulted ceilings, front yard landscaping, fenced backyards, 2 car garages and a generous homeowner warranty. The neighborhood community amenities offer new homebuyers a community clubhouse with fitness room, resident swimming pool, children’s playground, and a beautiful stone-gated entry. A wonderful place to call home! Community features: Sterling Lakes is a master-planned community located in South Houston, Texas. This dynamic, comprehensive new community—including homes by LGI Homes—allows new homebuyers to realize their dream of owning an affordable new home, all in a stylish, high-tenor neighborhood. LGI Homes houses at Sterling Lakes offer 3 to 5 bedrooms, designer upgrades and location, location, location! Incredible community amenities for all new homeowners to enjoy include a $2.5 million Recreation Center, hiking and biking trails, community lake, children’s splash pad, and a junior Olympic swimming pool. Everything is right here when it comes to family recreation and enjoyment. Home features: LGI Homes’ new 3, 4, and 5 bedroom homes at Sterling Lakes include $10,000 in designer upgrades, such as raised six-panel doors, vaulted ceilings, quality cabinetry, granite countertops, new quality appliances, a convenient utility room, two-car garages, and fully-fenced backyards. The benefits for new home buyers are apparent in the quality workmanship and attention to detail, such as rounded wall corners, quality fixtures in the kitchen and bathrooms, and more—all included at a sound, affordable price. Community features: This community is centrally-located, with easy access to local dining, entertainment, job opportunities and shopping. The community is also situated near Sea World, the Toyota Manufacturing Center and Lackland Air Force Base, cutting down on commutes for both work and play. The community also includes a number of resident-specific amenities like playgrounds and parks, a fishing lake, and a forthcoming $2 million recreation center that will cover 30 acres within the community. Home features: All of the homes in Luckey Ranch have either 3, 4 or 5 bedrooms, with 2 car garages, and at least 2 bathrooms. They also come with over $10,000 in upgrades included at no cost to the buyer. These upgrades include designer touches like granite countertops, custom cabinetry, fenced backyards for every house, all new kitchen appliances (including refrigerator), raised six-panel doors, rounded corners, vaulted ceilings, and a home warranty for every new homeowner. All of these amenities and more are available today starting at $659 a month, so call today or come in to see which one of our homes will be the perfect house for your family. Making the decision to buy a home is an exciting one, but it can be daunting to dip your toes into the home purchase waters, particularly if you’ve been used to renting as a way of life. And while the process of buying a home isn’t always the easiest to understand (lots of acronyms, lingo and terminology to learn! ), the experience is usually pretty straightforward. Luckily, whether you choose to work with a real estate agent, or deal directly with a new home builder, there will be plenty of experienced people on hand to help you navigate home buying, with as little trouble as possible. As you get started, though, here are some key do’s and don’ts for any prospective homebuyer, which will make the whole experience that much smoother. DO a financial check-up. While you may be focused on which community or floorplan is right for you, making sure that you’re financially prepared to buy a home is a huge component of having your purchase go off without a hitch. This includes checking your credit reports for any errors or mistakes that may negatively affect your FICO credit score—a prime factor in the amount of interest you will be required to pay on your loan. The better the credit score, the better the interest rate you’ll obtain, so it’s important to make sure you’re putting your best credit foot forward when it comes to prospective lenders. DON’T despair. If, when you review your credit, you find some dings and dents, or realize your bank accounts aren’t as flush as you had hoped, all is not lost! Many lenders and even home builders offer programs that can help those with less-than-perfect scores or minimal cash buy their very own new home. LGI Homes, as an example, offers both credit counseling and purchase programs that team buyers up with specialized consultants. After assessing the situation and discussing options, these consultants can recommend targeted programs that can make the dream of homeownership come true—such as our exclusive No Money Down purchase option, which spares cash reserves and expands buying power. DO keep your needs—both present and future—in mind as you shop for homes. Changes in your household size (the birth of children, kids leaving for college, an aging parent moving in) can affect the long-term suitability of your home when it comes to your needs. While all of life’s twists and turns can never be known, it does help to peer a bit into the future to see if you can predict any significant changes coming down the lane. DON’T get hung up on particular numbers or locations. Buyers—particularly first-time buyers—tend to get fixated on details that un-necessarily limit them in their search for a home. Insisting, for instance, on a minimum 1,800 square feet may cause a buyer to miss out on the perfect 1,700 square foot home—all for just 100 square feet that most likely won’t ever be missed. Keep your options and your mind open when you start looking for a home. It can sometimes take a number of visits to homes in different communities to be able to start weighing your true preferences and needs, and stop dictating your home search by arbitrary limitations. DO have fun. Buying a home is a big decision, and it can certainly be stressful. But, it is also a life-changing event that should be savored. The fun of imagining your family and future in the context of a new home is part of what makes homebuying enjoyable. Don’t let anxieties about the process bog you down! As a wise real estate professional once said, every home has something to teach, and every buyer has something to learn. So set fears aside and open yourself up to what every home is telling you. Chances are, you’re going to like what you hear! Here in the United States, owning a home isn’t just a practical issue of shelter, it’s an ideal, imbued with the rich independent heritage of our country, something toward which we all strive. Of course, furthering the dream of homeownership amidst the turbulence of the past few years hasn’t been easy, but it has still been necessary. 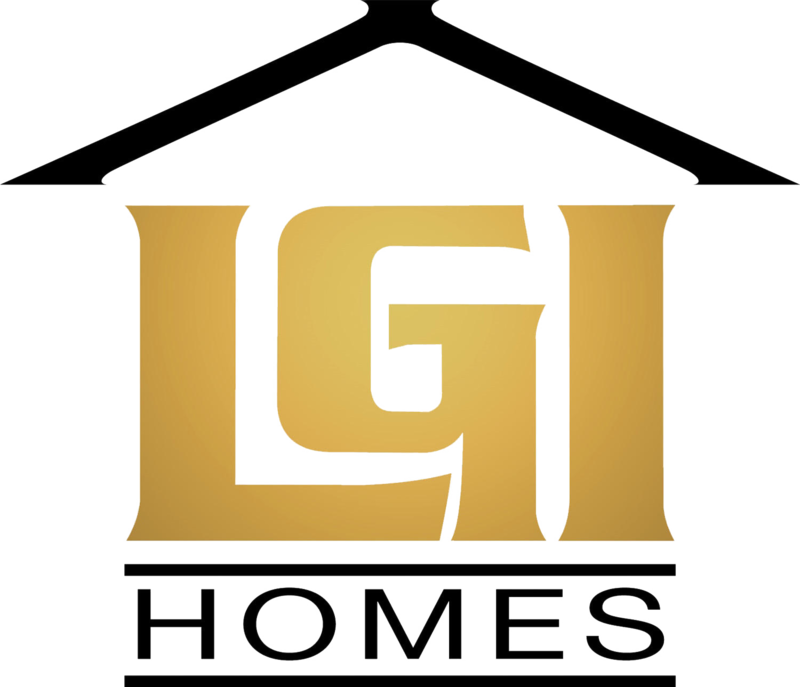 That’s why since its beginning, LGI Homes has pursued the role of dream-fulfiller with a ferocity of purpose that few, if any, other builders have been able to match. While others have floundered, LGI Homes has matched its building wits with the extant need in this country for high-quality, affordable homes that are located near the places that people work and play. And so far, the game play has yielded much success: thousands of one-time renters have become homeowners since LGI Homes’ founding in 2003, even in the midst of complicated and anxious economic times. How have they done it? Through an insistence upon affordability that exemplifies—rather than compromises—the other concepts in LGI Homes’ trilogy of ideals. Value (creating homes that are not just sound, but sought-after), Quality (insisting upon the best in terms of employees, materials, methods and locations) and Affordability are the very simple, but powerful doctrines that guide LGI Homes in every home, every community, and every sale. And while less abstract than the others, affordability may actually be the most important of all. Think of it this way: all the quality and value in the world means nothing if households aspiring toward homeownership can’t ever make it through the door. Which means to truly make a difference, homes need to be accessible not just to the rich, but to ordinary folks as well. For some builders, being affordable is synonymous with being subpar—compromising on key touches like designer upgrades, interior space or community amenities in order to drop prices and entice buyers. But LGI Homes saw it differently: what if it were not only possible to build high-quality homes at an affordable price, but also stock them with the sorts of high-demand upgrades that make a home really shine? All it took was some good-old American-style innovation, and a new concept of affordability was on its way. The key was not to lowball trade partners or use lower-quality materials. Instead, LGI Homes devised a way to take fundamental control of each community that they build, a tactic which begins with finding prime lots in desirable areas that offered the best of suburban space and urban convenience. Then, they cut out the middlemen by preparing the land for each community themselves—including grading and building the community’s roads. This consolidated approach saves substantial amounts of money, which can then be invested in top-notch construction and designer accents throughout each home—all at prices that are not just competitive, but accessible. Suddenly, being affordable isn’t just a marketing tactic distracting buyers away from mediocre housing—instead, it’s a badge of honor worn by a company that has upended the rules and created a new momentum for renters looking to make the jump into ownership. Affordability is the spring board that makes that jump possible, and LGI Homes isn’t just dedicated to preserving affordability—they’re working daily to find new and better ways to expand affordability, making homeownership accessible to everyone. ©2019 LGI Homes. All Rights Reserved.